Melexis has a new single coil fan driver IC that can deliver 600mA at 24V, or 15W and is ideal for a broad range of applications that need high performance with low noise operation. The MLX90411 runs from a supply voltage in the range 3V to 28V, making it ideal for all applications that need a supply of 5V, 12V or 24V. This includes home appliances such as air purifiers and many white goods. The device, in automotive applications, can be directly connected to the battery without additional protection due to its capacity to withstand load dump pulses up to 40V. 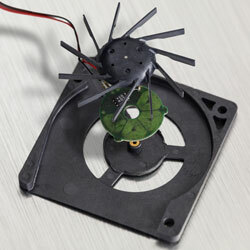 It is claimed to be the world’s first ASIL-ready fan-driver and can run over a temperature range of -40C to +150C.